The Joseph A. Myers Center for Research on Native American Issues is named after Joseph Myers, a Pomo Indian from Northern California. Mr. Myers completed his undergraduate and law degrees at the University of California at Berkeley. He has spent more than 30 years as the founding director of the National Indian Justice Center (NIJC) and has been a Lecturer in Native American Studies at UC Berkeley for over 15 years. Through NIJC, Mr. Myers has served the needs of Indian tribes nationally by providing legal training and technical assistance to improve the quality of life and administration of justice in Native communities. The research center’s name is intended to recognize the extensive service of Mr. Myers to Indian country. The Joseph A. Myers Center is housed at UC Berkeley’s Institute for the Study of Societal Issues (ISSI). The Center’s mission is to provide the people of Indian country with pragmatic research products that can be employed to improve the quality of life for Native Americans throughout the US. The Center fulfills this mission by bringing the resources of the University to Native communities; developing, coordinating and funding collaborative, community-driven research projects; providing technical assistance and training; disseminating research publications and reports; and hosting conferences, colloquia and other events open to the public on topics of concern to Native communities. Joseph A. Myers, a Pomo Indian of northern California, is the Executive Director of the National Indian Justice Center (NIJC), a non-profit corporation with principal offices in Santa Rosa, California. He founded the NIJC in 1983, as an independent resource for tribal governments and their courts. The NIJC creates and conducts legal education, research, and technical assistance programs aimed at improving the administration of justice in Indian country. From 1976 to 1983 Mr. Myers served as associate director of the American Indian Lawyer Training Program, creating and managing its tribal court advocate training project. He is a graduate of the University of California, Berkeley, School of Law at Boalt Hall. Mr. Myers has contributed significantly to the improvement of justice in Indian country. For the past 15 years he has lectured in Native American Studies at UC Berkeley. In 1993, Mr. Myers received national recognition from Attorney General Janet Reno for his work on behalf of victims of crime in Indian country. Mr. Myers has received numerous awards, including the 2002 California Peace Prize from The California Wellness Foundation and the 2010 Peter E. Haas Public Service Award from UC Berkeley. 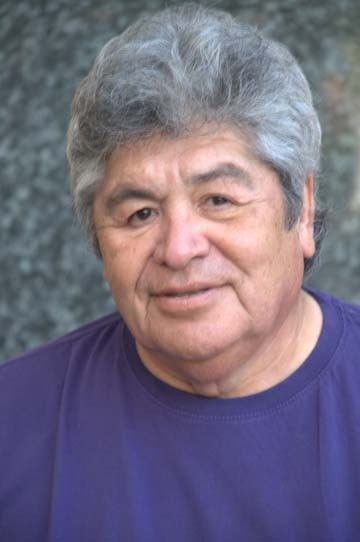 Additionally, Mr. Myers is a founder and board member of the California Indian Museum and Cultural Center. Since 2002 he has served as Chairperson of CALTRANS Native American Advisory Committee. Martín Sánchez-Jankowski (Yaqui) is Professor of Sociology at the University of California at Berkeley. In addition to being Founder and Co-Chair of the Joseph A. Myers Center for Research on Native American Issues, he is Director of the Institute for the Study of Societal Issues and Director of ISSI's Center for Ethnographic Research. 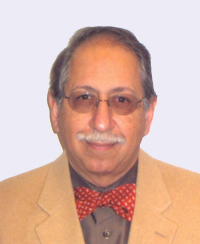 Professor Sánchez-Jankowski received his Ph.D. from the Massachusetts Institute of Technology in political science and economics. His research focuses on inequality in advanced and developing societies and has been directed toward understanding the social arrangements and behavior of people living in poverty. He has studied urban gangs within U.S. low-income neighborhoods, resulting in the book Islands in the Street: Gangs and American Urban Society (1991). Subsequent studies have been directed at education, some of the results being reported in a book co-authored with five other Berkeley faculty entitled Inequality By Design: Cracking the Bell Curve Myth (1996); and in the social order of neighborhoods, with those results being published in Cracks in the Pavement: Social Change and Resilience in Poor Neighborhoods (2008). His most recent book is Burning Dislike: Ethnic Violence in High Schools (2016). He is currently engaged in comparative field research on poverty among indigenous groups within the U.S. and Fiji. As Academic Coordinator of the Myers Center, Christine Trost plans programs, trainings and events, provides training and mentorship to Myers Center Graduate Fellows, and develops large research grant proposals. In 2012 she helped launch a new Myers Center research initiative directed at understanding and responding to the massive disparity in traffic fatalities and injuries affecting Native American communities. Christine is a member of the Native American Student Development Advisory Committee. She also serves as the Associate Director of the Institute for the Study of Societal Issues, where the Myers Center is housed, and helps direct the overall research mission and activities of the Institute. Christine holds a Ph.D. in Political Science from UC Berkeley. In 2008 she received the Chancellor's Outstanding Staff Award for her work as a member of the Berkeley Initiative for Leadership and Diversity Steering Committee.